Electricity is produced from sunlight through a process called solar photovoltaics. Photovoltaic cells are made of semi-conducting materials, so when the sunlight strikes, it is converted into electricity. 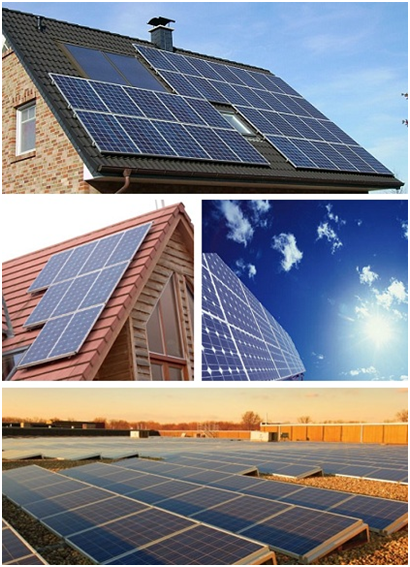 Solar panels can be beneficial to both domestic and commercial clients alike. The PV modules are made out of silicon which is entirely benign, and available in abundance. No noise pollution or harmful gases are emitted during the operation. PV utilises the most abundant energy source on the planet – the sun. PV is not affected by ‘Nimbyism’ or affected by planning delays. PV has no moving components and is virtually maintenance free. PV systems can be incorporated into all types of building, and retrofitted on existing roofs, or as part of the building envelope at construction stage. It can be curved and shaped to the building design. In grid locations where grid connection is too expensive. Having a solar roof provides you with a power source that can be used to augment your grid connected electricity supply subsequently reducing your electricity bills. In addition, having PV as an energy resource increases your awareness of electricity use and encourages more efficient energy behaviour. This in turn leads to lower energy bills. At JTB electrical services we like to know that our customers are well looked after and that they have complete peace of mind. If at any point you are unsure about the work that is being carried out by our technicians or if you would like to know what the work involves then please make sure to ask one of our technicians on site. We offer our customers a free no obligation quote so please make sure to contact us for this. 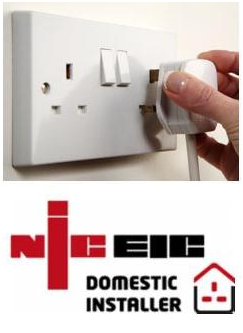 All of our work complies with the latest electrical safety regulations. We have extensive experience in designing and commissioning domestic installations in Southampton, whether this involves modification of an existing installation or designing and fitting from new. To make sure that none of the work that we do falls below the high standards we set, we only ever employ electricians who are competent and fully qualified to undertake any work and meet the high standards we set. At JTB, we pride ourselves in the work ethic that we undertake, we believe that there is not job too big or small for our electricians and we always guarantee 100% customer satisfaction. To make sure that we can offer our customers the best electricians in Southampton service we constantly benchmark our services against those of our rivalling companies to make sure that we are offer the best service on the market.